Some things in life are beautiful in their simplicity. Take the case of Palada. 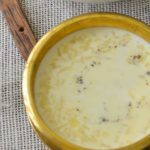 Just a few ingredients , rice , sugar, milk, a little ghee and a pinch of cardamom, that is all it takes to make this popular Kerala sweet treat. Fresh made rice noodles broken and cooked in milk and liberally sweetened . This is definitely an indulgence. Many bakeries in Ernakulam displays “Palada” signs all year around. The number of signs multiply during the festival seasons, especially during Onam and Vishu. 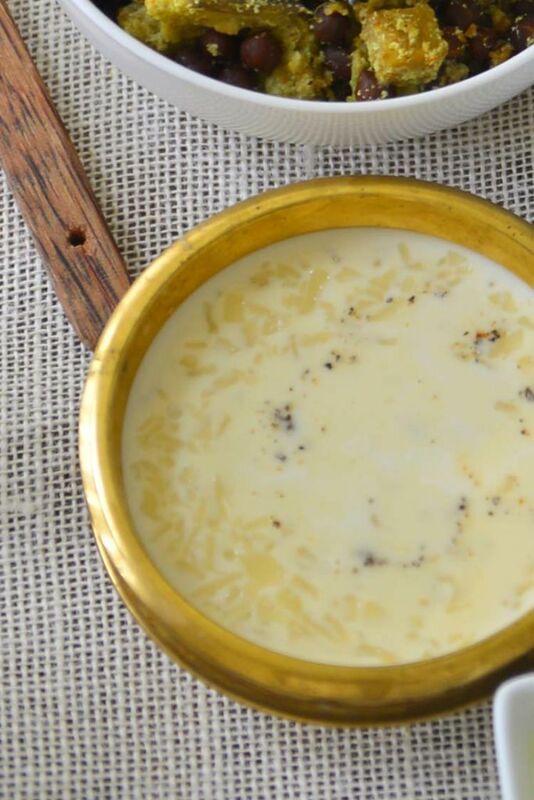 It being a milk based desert, palada gets spoilt easily in the tropical heat and humidity. The bakeries get a fresh batch every morning and it gets sold out before noon. Even my lactose intolerant MIL finds it difficult not to buy a container. 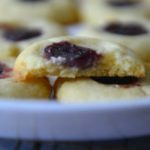 You can make these with fresh homemade ada or store bought ones, in a pinch even use broken rice noodles. Each option changes the texture and taste a little, but all are delicious. 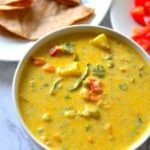 I prefer homemade fresh Ada , and here is my recipe for quick and easy fresh homemade ada . The first step is to prepare the Ada. If using fresh , rise and strain. If using store bought follow the instrictions on the package or just soak in warm water for 20 minutes, rinse and drain. 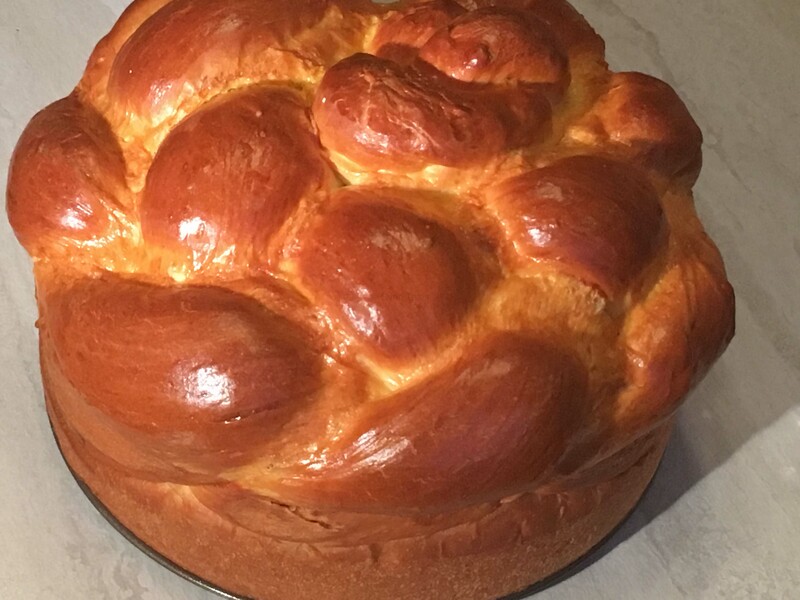 In a heavy bottomed pan heat the milk. Once it is hot add the drained ada. Stir every now and then to prevent the bits from sticking to each other. 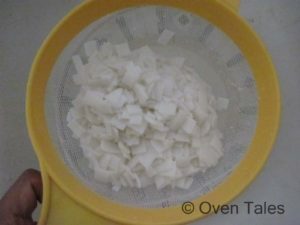 Once the milk has come to a boil add the sugar and keep on medium heat till the milk has thickened a little, about 20 to 30 minutes. I like it be medium thick, so 30 minutes is usually sufficient. 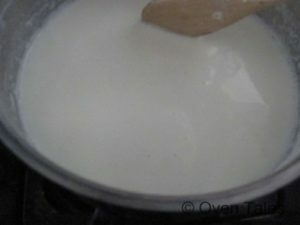 Keep stirring every few minutes to prevent the milk from boiling over as well as getting stuck to and burnt in the pan. Taste and add more sugar if necessary. Keep the heat on low. Remove the cardamom seeds from the pods and crush into a fine powder using a mortar and pestle. Set aside. 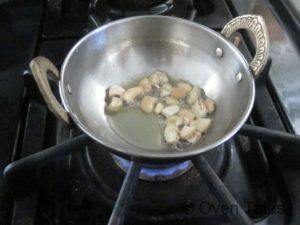 Heat 1 tablespoon ghee in a small pan (kadai) and fry the cashew nuts. Once it has browned evenly remove and set aside. 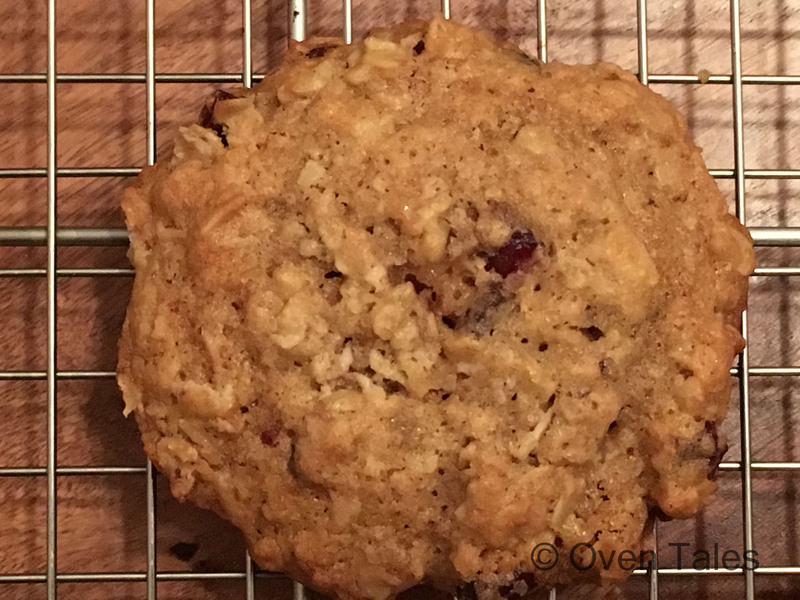 If adding raisins repeat the same process with them as well. Add 1 tsp ghee to the kadai. 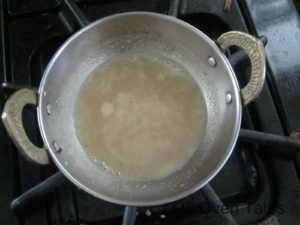 Once the ghee has reached its smoking point add 2 Tbsp sugar and reduce the flame to low. Let the sugar caramelize. 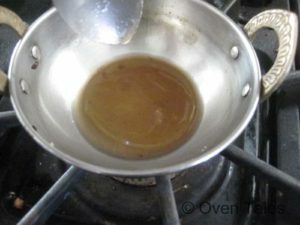 Once it is fully melted and the brown caramel is formed pour a few tablespoons , about a 1/4 C or so, of the hot liquid from the palada over it. Be careful at this step, as the water could splutter and splash all over. The caramel solidifies in the pan . Keep the heat low to medium and stir until all the caramel is dissolved and pink/brown solution is formed . Add this liquid back to the palada , this is the quick trick to get that caramelized taste. Sprinkle the cardamom powder and half the fried raisins and cashew nuts . Turn off the heat. Let the ada cool for at least 30 minutes. It will thicken a little more as it cools. Transfer to the serving dishes , garnish with the remaining cashew nuts and raisins. Serve. 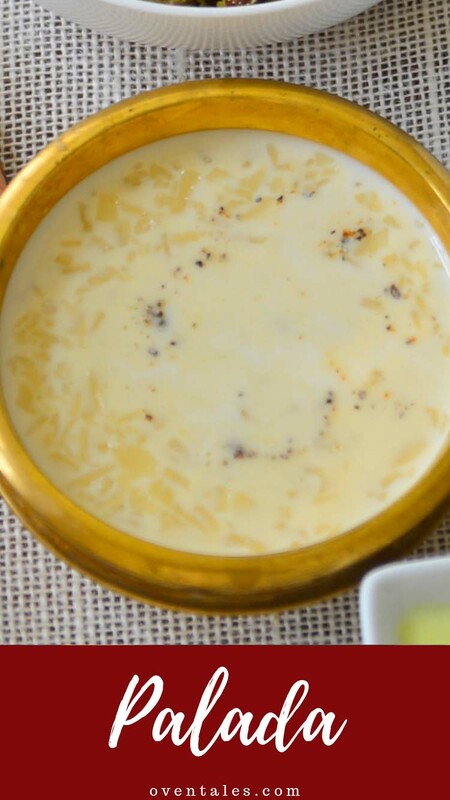 Milk based kheer made with fresh rice noodles or ada . This is a gluten free dessert that is in a semi liquid form. The noodles are prepackaged or sometimes freshly made. The sweetened thick with bits of soft melt in the mouth ada is the perfect end to a traditional Kerala feast. Drink up the liquid and savor the ada by itself or mix it all up and enjoy by the spoonfuls ! Rinse and drain the fresh Ada . If using store bought, soak in warm water and drain . 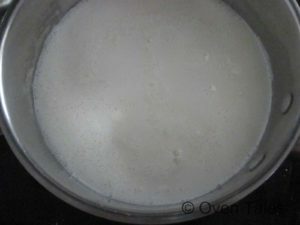 Heat the milk in a heavy bottomed pan . When warm slowly add the ada and stir well . 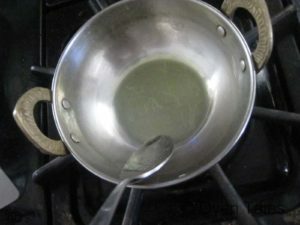 Once it comes to a boil add the sugar and keep it on medium heat until the milk has thickened to desired consistency, 20 to 30 minutes for medium thickness . Keep stirring every few minutes to prevent burning . Taste and add more sugar if required. Reduce heat to low. Remove the seeds from the cardamom pods and crush them into a fine powder. Set aside . Heat 1 Tbsp ghee in a small pan and fry the cashew nuts , followed by the raisins. Add more ghee to the pan if required. Set aside . 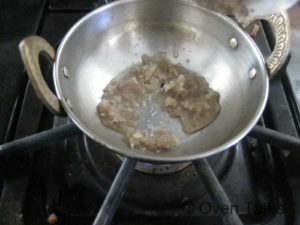 Add 2 Tbsp sugar to the same pan and let it caramelize over low heat. Pour about 1/4 C of hot milk from the Palada over the caramel . Stir well to dissolve the solidified caramel. Add the caramel milk solution to the palada. Mix well . 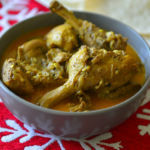 Sprinkle the cardamom powder on the palada and stir well . Mix in half the nuts and raisins . Turn off the heat and cool for at least 30 minutes . Transfer to serving dishes, garnish with the remaining fried nuts and raisins . Serve. Traditionally raisins and cashew nuts are not used in palada. Store bought ada could be made out of wheat - check the packaging for ingredient list. I like my palada to be white in color with hint of caramel, the same flavor it acquires after long hours of stirring and thickening in large Uruli. If you prefer it to be a bit more pink increase the amount of caramelized sugar. 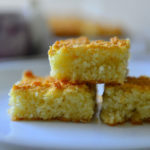 Palada is a traditional desert in Kerala Sadya. 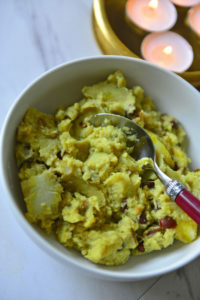 Click for more sadya recipes.